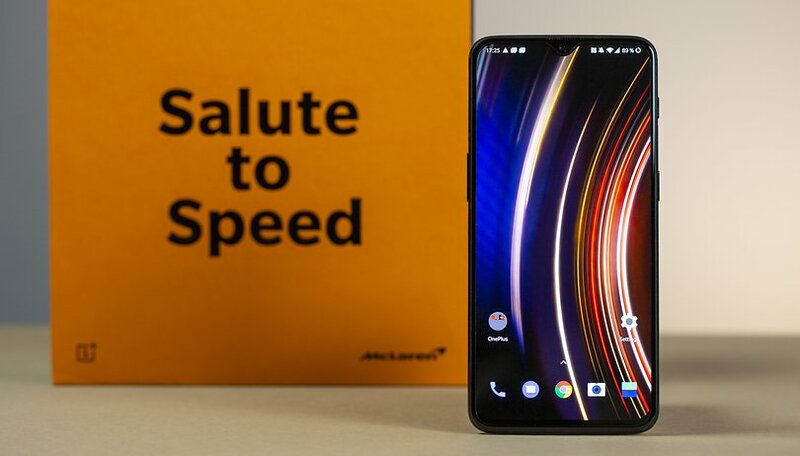 Under the motto "Salute to Speed" OnePlus introduced the 6T in the McLaren Edition. But the story of OnePlus and sports cars doesn't stop there. The Chinese manufacturer is now coming around the corner with the OnePlus Warp Car. For weeks fans have been waiting for what OnePlus has finally presented today: the Warp Car. An absolute top sports car with powerful technology under the hood. And how could it be otherwise, the vehicle has an electric motor and should be super fast to recharge in just 20 minutes. This is due to a new technology in which 20 commercially available OnePlus Warp Chargers are connected together to the car. As if it wasen't already unusual enough for a smartphone manufacturer to present an electric car of this size, the production is even more extraordinary. The OnePlus Warp Car is manufactured entirely in SLS or ABS 3D printing. Competitors like the Tesla Roadster, GLM G4, Hypercar Concept One, Nio EP9 or the Ren RS should start to worry about this. You want more? Then the Chinese manufacturer has another surprise in store: The Warp Car is not steered by a steering wheel, joystick, rudder or control stick, but by gestures on the smartphone. It is still unclear whether you can latch it into the vehicle somewhere or hold it freely in your hands while driving and control it from the back seat. The latter seems unlikely when you look at the special lighting of the OnePlus Warp Cars. This is because the flashlight function and thus the LED flash of the camera are used. The light is amplified by light tunnels and mirrors. The mirror cameras are also directly connected to the telephone. cant imagine where that would meet road safety standards.